Super fast 2-mile course through downtown Boise. Pulled off a decent time for 20th, Jade was the top finisher in 8th. Canadians ruled the day taking the top 3 positions (it helps to have our track pursuit team racing)! Race favourite Kristin Armstrong hit the ground and broke her collarbone. Fortunately it sounds like she will be back training in no time. Wet roads greeted us for the start of the 123 km road race which featured two times up a short but steep climb. I got away with a group of nine after the first climb and we gained a decent gap. However there were teams who were not too happy with the combo and brought it back. 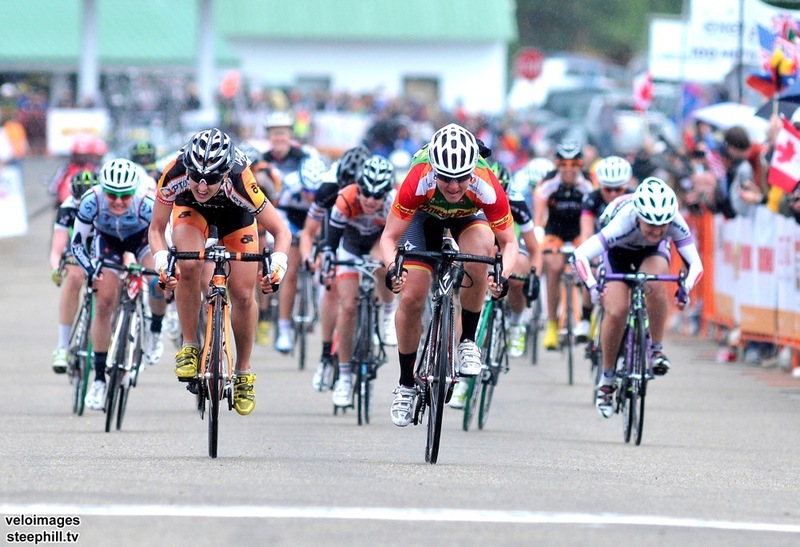 It was a bunch sprint coming into the finish. Lex and Jade threw down some impressive last minute flyers, and Carmen kept me up front in a good position coming into town. The finish was technical and I messed up position a bit to come 4th, a good result but still a hard place to come. 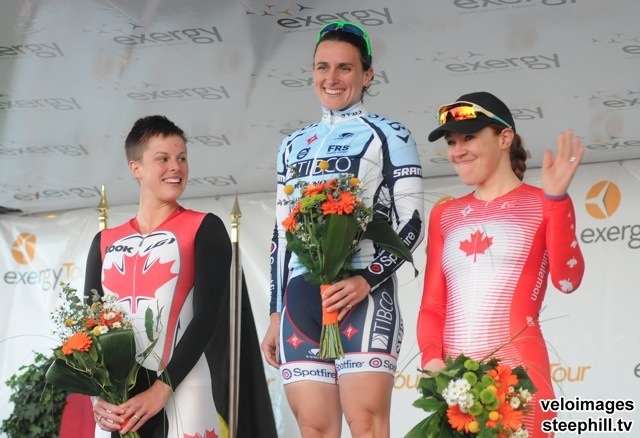 The stage win went to Theresa Cliff-Ryan (Exergy) after a very impressive sprint! There was a bad crash with 1 km to go that took down many riders, including Bronzini, reigning World Champ. The team was hungry for a stage win after a very close result. It was another wet and rainy day for the rolling time trial. Couldn’t really feel my body and cornered like a child, but still pulled off a decent time for 23rd. I'll complain about racing in the rain, but I really don't mind it that much! Amber Neben took the stage win with an impressive ride. Had the most delicious Mexican hot chocolate at the finish that made my day quite happy :). 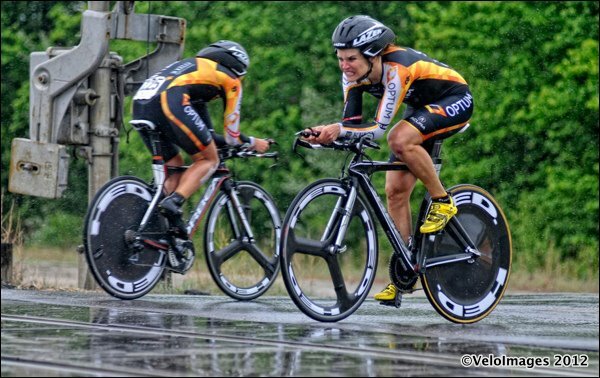 photo credit: veloimages My teammates Denise and Joelle passing each other in the rain, good timing! This 93 km course featured an intimidating elevation profile on paper, the stage would include 4500 ft of climbing. Our team attacked like crazy right from the start, but couldn’t get a break going for long. A small break with Janel did end up gaining some time on the climb, but it all came back together descending into the finish. We had our best lead out of the week on this stage. Jade set pace at 3 km out, then Clara from Lululemon took over. Janel absolutely drilled the pace at 1 km to go with Carmen and I behind her. Carmen then led through the final corner with 300 m to go. It was an exhilarating drag race between myself and Ina Teutenberg from Lululemon. I ended up second on the stage, but still excited by our great team effort, and a close finish to the fastest sprinter in the world! The final stage held on Memorial day was short and hilly (75 km). The race started with some excitement as they had coordinated a jet fly over at the start line! Thousands of people came out to downtown Boise to cheer us on, and fans were dressed up as super heroes, devils and christmas trees out on the course! The shorter stage forced aggressive riding right from the gun. My team suffered a devastating loss about 100 m into the race when a crash took out Courtney and Janel, two of our top climbers. A break got away on the first QOM at 7 km into the race. With Optum not represented, we worked hard to bring it back and get super climber Carmen into a good break. The race shattered as we hit the relentless climbs. Carmen fortunately made the final selection, and Jade and I rode in with the second group. Claudia Hausler (Greenedge) took the win, riding in with Evelyn Stevens (Lulu), overall race winner. Carmen pulled off an impressive 4th place finish and ranked 3rd in the Mountains classification. This last stage really blew apart the field. There were only 34 final race finishers from the initial 103 starters at the beginning of the week! I finished 23rd overall, and ranked 2nd in sprint points classification. The whole event ended in true Western fashion with a rodeo, complete with real rodeo competitions, a mechanical bull and chuck wagon food. To top it off we all got sweet belt buckles as a gift from the race! 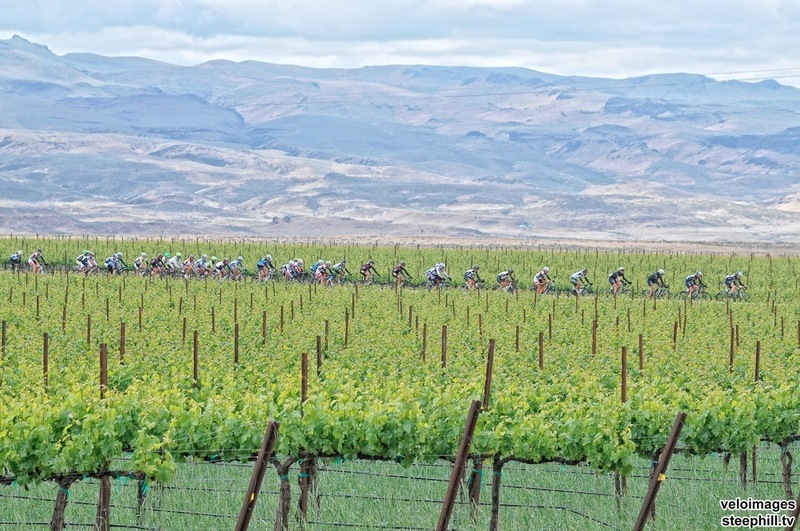 Check out Tour Tracker site for recaps and commentary from all the stages. Definitely worth checking out if you missed it live! Hope to see more awesome coverage like this for future events. I'll be racing the Liberty Classic in Philadelphia with the team tomorrow. It is my first time at this race, so I'm quite excited/nervous to experience racing up the famous Manayunk Wall! 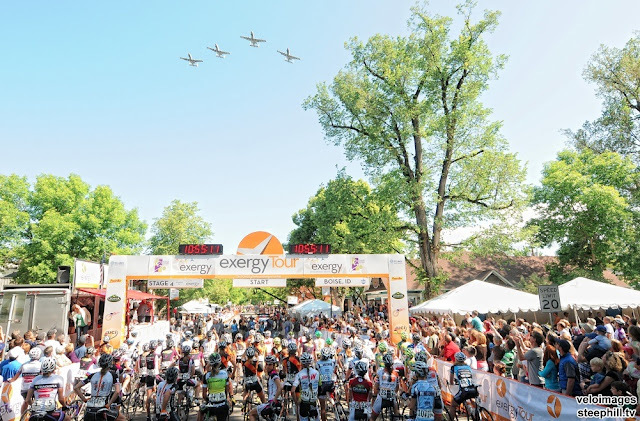 Nice recap of the Exergy Tour, Leah. Seen you numerous times on Tour-Tracker. Wished all races would be covered by them. Good luck for the Liberty Classic. Thanks! I really hope they cover more races in the future! Excellent recap of your team's efforts! Go Team Optum! Thanks for cheering for the team!!! Excellent recap. You should do this professionally....re-capping that is! PS - You rock on the bike! Congratulations on your Exergy Tour performance! Thanks! haha I'll consider re-capping for possible future employment.